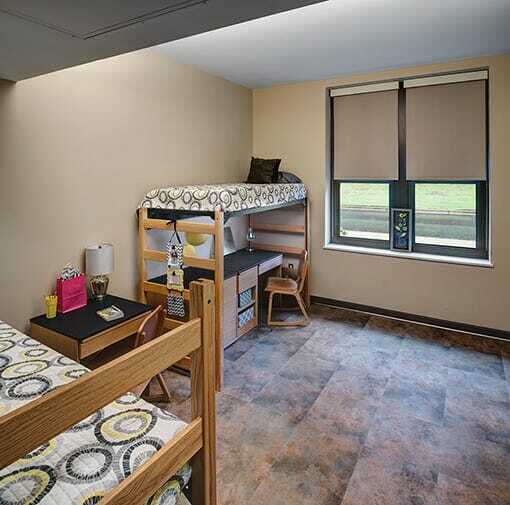 This new 70,000 square foot residence hall includes 104 resident rooms, housing 208 students. Each of the three stories has two secure wings, with three study rooms and three living rooms. 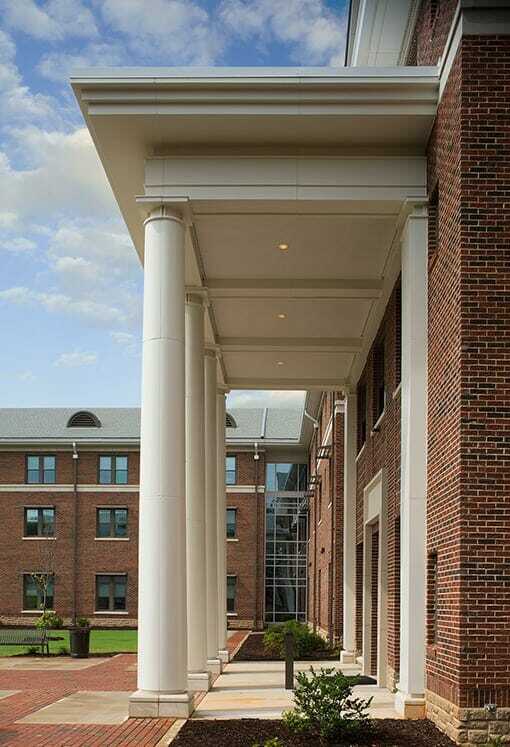 Active and dynamic corridors are created by introducing daylight at key social areas and study zones, and recessed niches at resident room entrance doors. 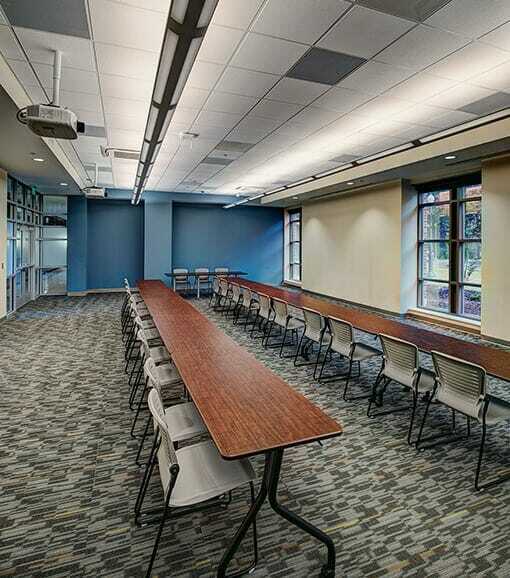 The first public zone of the building contains a 100-person classroom, laundry room, a resident director apartment, as well as an office/reception area. The wide, single-loaded corridor allows for seating groups and touchdown locations with direct access to the courtyard created by the building’s formal U-shaped plan. 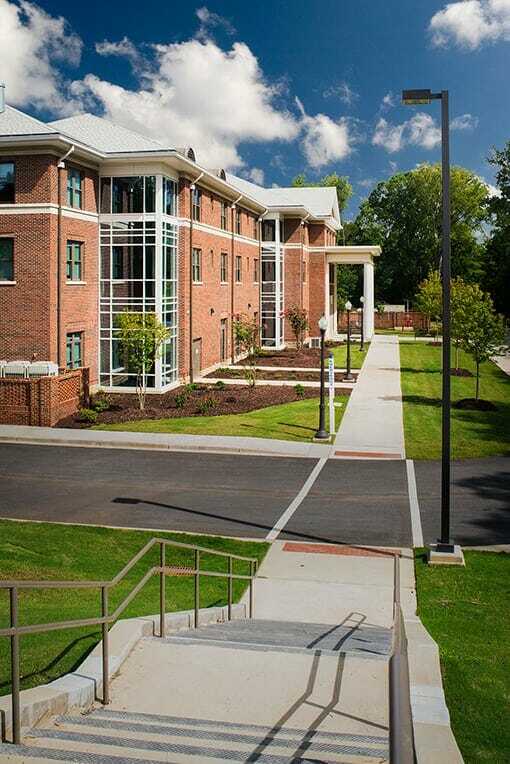 The exterior was designed to re-interpret the campus’ historic Chipley Hall and create a revitalized aesthetic standard for future work at Lander. Ultimately, the Master Plan, revised by this team, calls for two additional residence halls that will enclose the current courtyard creating a future, formal quadrangle. 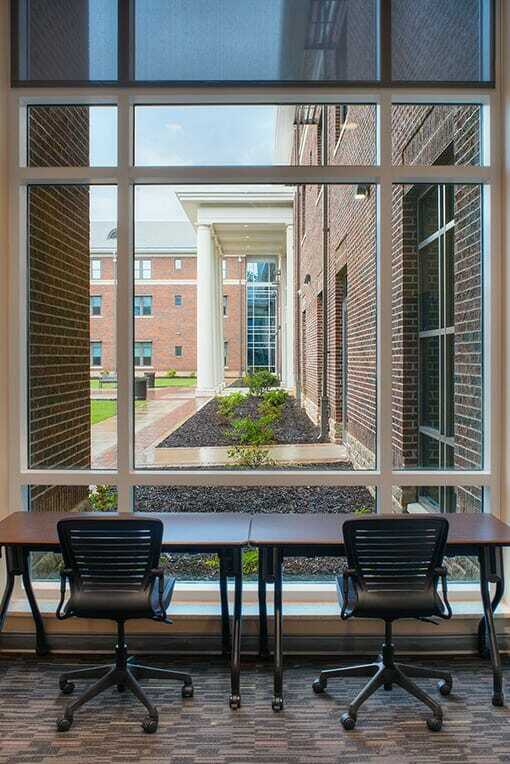 This building is on track to achieve LEED Silver certification.